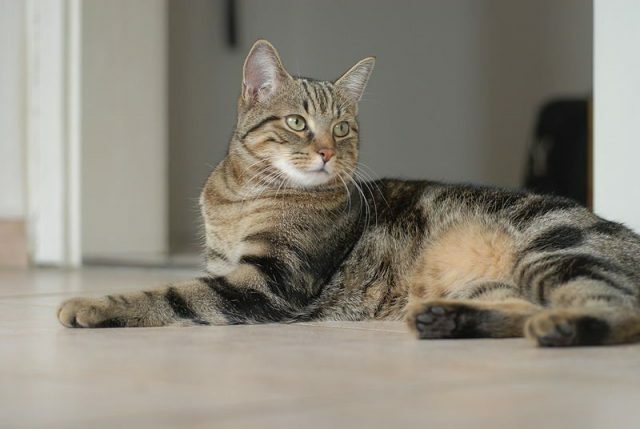 Is your cat at risk of heartworm? Many people answer “No!” because their cat lives indoors. But you only have to think of the annoying buzz of a mosquito around your head during the night, to know that bugs get indoors. And so yes, heartworm does affect cats, not just dogs. 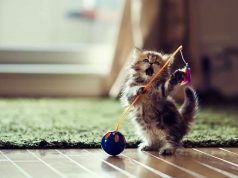 With that in mind perhaps it’s time to rethink everything you assumed about heartworm, in order to work out the true risk to your cat. You may be surprised…and not in a good way. If you need further motivation to read on, know that heartworm disease is worse for cats than dogs. Why is this? #1: No Safe Treatment: The drugs used to kill adult heartworms in dogs, are highly toxic to cats. Not only will the meds kill the parasite but they may well kill the feline host as well. #2: Harder to Detect: A quirk of biology means that cats host lower numbers of adult heartworm (which are just as deadly) than dogs. This makes the infection harder to test for and detect. 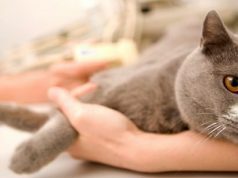 #3: Sudden Death: Some cats don’t show any symptoms that they are harboring heartworm and the first sign is the cat drops down dead. 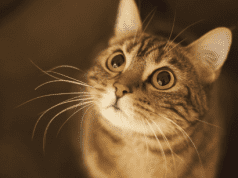 How Do Cats Catch Heartworm? Heartworm is transferred from one infected animal to another by mosquitoes. Thus, although heartworm can’t be passed directly from cat to cat or dog to cat, it can be passed dog-mosquito-cat. If you want to get technical, the mosquitoes carry the larval form of heartworm. When the mosquito feeds it breaks the skin and allows larvae to enter into the unwary host. From there the larvae in the host’s bloodstream migrate to its preferred target organ and mature. It takes up to six months for a larva to grow into an adult heartworm. And guess what? The heartworm’s favorite home is indeed the heart or the major blood vessels of the heart…which is bad news for the circulation and a potential heart attack in the making. Since heartworm is passed via mosquitoes, your cat doesn’t need direct contact with another infected animal. It might be a dog three streets away has heartworm, gets bitten by a mosquito which is then blown on the wind to your block. If that mosquito gets in through the open patio door your cat is now at risk of infection. 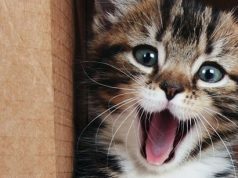 The other bad news is that each adult worm can live for two to three years inside a cat. 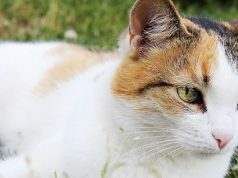 This means even if the cat only encounters one infected mosquito per year, fresh infection can happen the following year and so the number of adult worm slowly start to build. In the worst case scenario, some cats show no signs of illness and simply drop down dead. This devastating turn of events can either be due to an allergic reaction to larvae migrating through the lungs or the heart becoming blocked with adult worms. As you can imagine, these symptoms are quite vague and can be caused by any number of other problems from infection to asthma and pancreatitis. This can be tricky. Many factors complicate the blood test results, such as false positives because worms were present but are now dead; and false negatives when there are not enough worms are present to trigger a positive result. 1 An Antibody Test: A positive result means the cat has been exposed to heartworm and mounted an immune response. If both of these are positive, or one is positive and the other negative, the vet may opt to run a heart ultrasound. This allows the vet to actually spot any adult worms present, and thus clinch the diagnosis. Sadly, there’s no easy option for treatment in cats. The drugs used in dogs carry a significant risk of severe side effects, including death, in cats. The ‘hero’ option is surgery to remove the adult worms from the heart, but this is only done in rare circumstances and is a specialist procedure. A halfway house is to use medications to support the struggling heart and alleviate the signs of heart failure. For the lucky cats, this can prop them up for long enough to outlive the worms. Given the risk and potential seriousness of heartworm infection, prevention is better than cure. 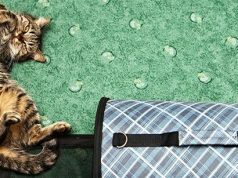 Thankfully, there are a number of safe and effective products which when used correctly will protect your cat. Speak to your vet about the options and which is best for your cat. Before you assume your indoor cat is safe, know that all 50 US states have confirmed heartworm cases, so no location can be assumed safe. Also, mosquitoes are common and easily blown considerable distances on the wind. So even if you don’t live near standing water, you can’t assume anything. However, it’s not all bad news. 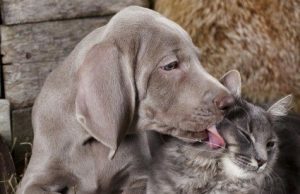 When comparing infection rate between cats and dogs in the same geographical area, the rate amongst cats is much lower at around 5 – 20% of that of dogs. 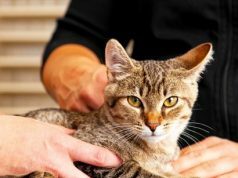 It seems cats make a less hospitable host to heartworm than dogs; therefore, when you use a preventative regularly there’s every chance of your cat leading a long and healthy life. Why Does My Cat Drink More Water?